We’ve always liked Ajinkya Rahane. He’s always struck us as a batsman who can adapt to different situations and different conditions. India like him too. They like him to be 12th man. Rahane’s case for inclusion in the second Test against South Africa wasn’t undeniable, we’ll admit. 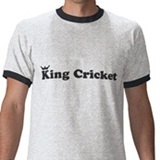 He had a poor run of scores against Sri Lanka at the end of last year and got dropped. But surely he should be among the first names on the team sheet whenever India are away from home? Last time he played a Test in South Africa, he made 51 not out and 96. Last time he played a Test against South Africa in India, he made 127 and 100 not out (in four innings in that match, only two other batsmen passed 50). He averages 60 in Australia and 70 in South Africa. You could argue these are small samples, but we’d argue they are inexplicably small samples. He’s been left out of these two Tests when he could have played instead of – ohhh, let’s pick a name at random – Rohit Sharma, say. Rohit Sharma averages 28 in Australia and nine in South Africa. 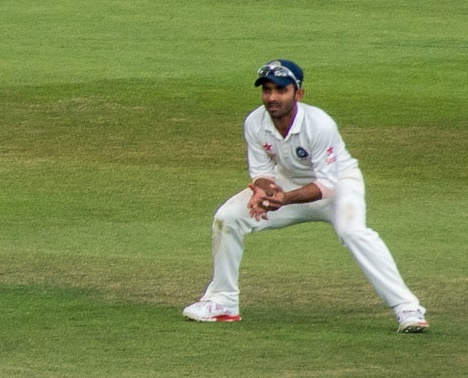 In six Tests and ten innings, Sharma has a top score of 25. The fact that he averages 85 in India seems dangerously irrelevant. All we can conclude is that when Ajinkya Rahane brings out the drinks, they’re crisp and fresh and invigorating, and when Rohit Sharma brings out the drinks, it’s half a mug of lukewarm vegetable stock with a turd in it. That nickname seems a tad unfair, no? The guy’s just made his second one-day international double hundred. After 20 overs of the innings, he was on 41. Remember that, because one-day tactical analysis is often reductive. People look at the final scorecard and assume it was sixes from the off, but that’s rarely the case. It’s also easy to see this as proof of run inflation, but headline stories always elbow the broader picture aside. You’ll remember Rohit’s 264 because it seems significant, whereas you’ll already have forgotten the recent Pakistan v Australia one-day series where the highest total in three fixtures was 255-8. Modern one-day totals vary so much that different matches are almost like different sports. The ability to cash in when the going’s good is a different sort of skill to working up a competitive total when conditions favour bowlers. Is it a lesser skill? Of course not. The value of one or the other will vary depending on the conditions on the day. In a relatively low scoring one-day game, England are actually all right. If they get organised, we think they’ll at least give most sides a run for their money. What they can’t do – and we don’t see this changing any time soon – is win a flat track runfest. It’s just completely beyond their ken. Rohit Sharma has played on high scoring pitches before. He’s got experience of that. He knows what to do and he’s got confidence in how he goes about things. He doesn’t fret when he’s got 41 after 20 overs because he knows he can catch up. A theoretical English batsman with exactly the same ability won’t see those situations anywhere near as frequently. If he finds himself playing in a match where runs are flowing, it’ll all be new to him. That brings a degree of uncertainty which doesn’t do a right lot of good when you’re trying to muller 400. A run doesn’t have a set value. It derives it from the match in which it is scored. Modern one-day cricket isn’t always about making 350 plus scores – but it does sometimes demand this.